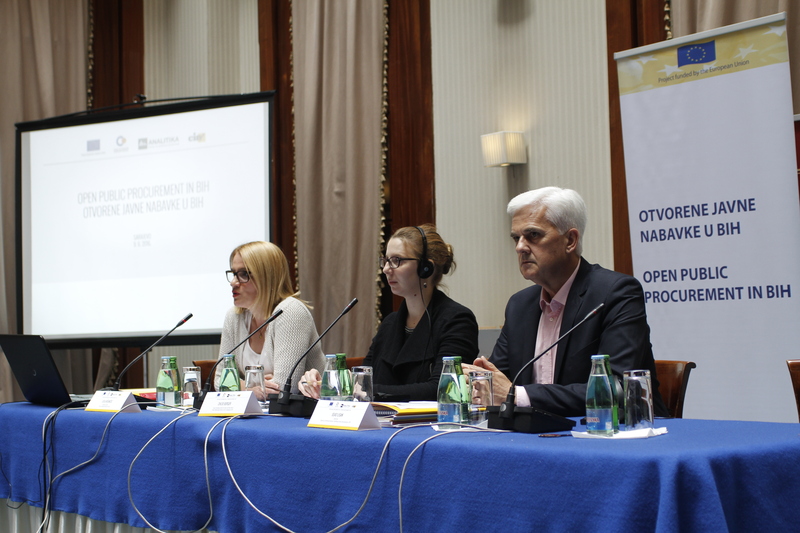 Round table was organized by implementing partners of the project, Center for Investigative Reporting (CIN), Center for Social Research – Analitika and Center for Public Interest – Foundation CPI, to present results of the project aimed toward strengthening public procurement system in BiH. One of the outcomes of the project is development of the specialized web-site (www.cin.ba/nabavke), that contains expert analyses of policies and legislative framework, recommendations for improving the system of public procurement, investigative stories and a data base of 50 companies that received a third of the total money spent through public procurement in the last five years. „We believe that BiH citizens deserve to know who are the owners of these companies, how they operate, with whom they are related, if they receive incentives and do they give money to political parties. Significant amount of money from public funds is spent on public procurement every year, so it is necessary to improve transparency and accountability of public institutions participating in public procurement.“ said Leila Bičakčić, the Director of the CIN. 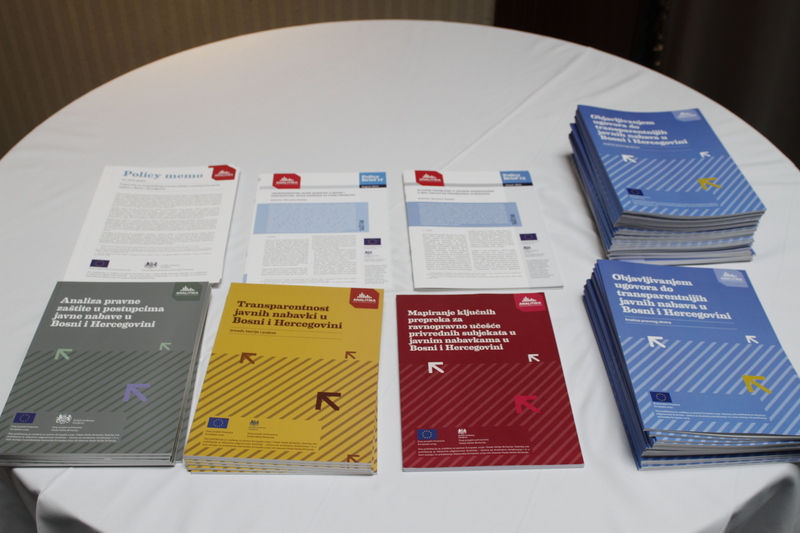 Center for Social Research Analitika has released several publications which can be found HERE. „Public must have information on whether public money is spent rationally and for the right purpose. Each institution has the obligation to disclose how they carry out the procurement procedures, explain whether these procurements are based on real needs, and if deadlines and contractual amounts are actually respected. 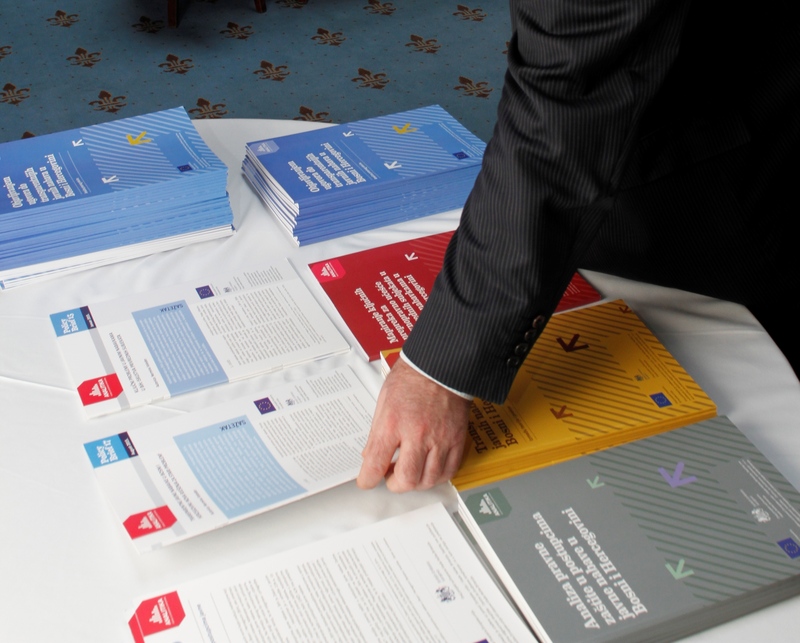 Greater transparency in public procurement would reduce the possibilities for corruption, creating at the same time conditions for more responsible and efficient operation of public administration” said Nermina Voloder from Analitika. Project outcomes that directly support implementation of the Action plan for Fight against Corruption in BiH, were also presented at the Round table, with aim to initiate discussion on importance of cooperation of all stakeholders on strengthening public procurement system in BiH, through stronger transparency and active role of private sector and civil society. Sead Lisak, Director of Agency for the Prevention of Corruption and Coordination of the Fight against Corruption (APIK), said that his mandate ends in August 2016, and that he is truly proud of a great cooperation established between this Agency, civil sector and media in the last five years. „Regardless who will be selected as new director of the Agency, the cooperation with non-governmental sector has to continue. 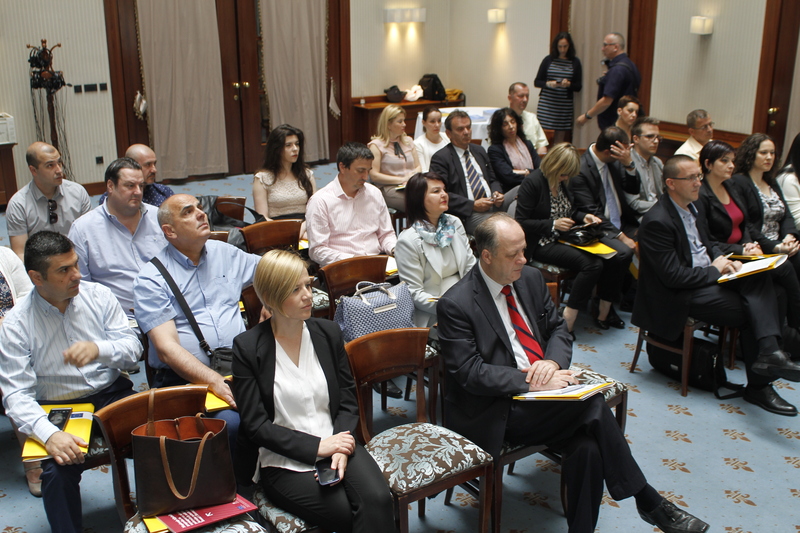 This is the only way we can reach the ultimate goal, which is to create the environment open for establishment of a system that will use preventive measures to strongly confront corruption in BiH“, said Director of APIK, adding that fight against corruption cannot be successful without active engagement of civil society. The EU funded this project in amount of EUR 424,129.70.